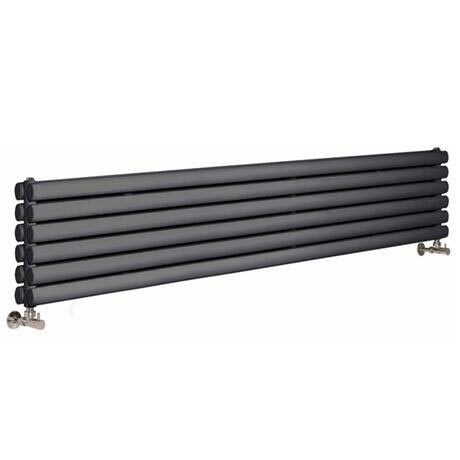 The anthracite finished horizontal Ricochet double panel designer radiator from Premier, bring a stylish simplicity to any room with the 354 x 1750mm designer radiator. Make a statement with our designer radiators, guaranteed to be the focal point of any setting. Premier provide luxury designer bathroom products at desirable prices, combining comfort and reliability with practicality and quality craftsmanship. Hi Nick, 444mm is if it is mounted vertical, for horizontal mounting the pipe centres are 1710mm. I hope this helps, if you have any further questions please don't hesitate to get in touch.